Fly the REAL FIGHTER JET in the Czech Republic with the test pilots of Aero Vodochody! The Aero L-39 Albatros was produced in large numbers by the Factories of Aero Vodochody, the worlds largest producer of military training aircraft. Apart from the popular L-39 Albatros, Aero Vodochody has also built its predecessor, the L-29 Delfin and its successor, the ground attack aircraft L-159 Alca. The Albatros is however still used in many airforces as an attack aircraft for air to ground support missions or as a tactical reconnaissance aircraft. The most amazing fact about this jet is, that with us you can fly this military training aircraft as a civil person, no need to be a part of the military! 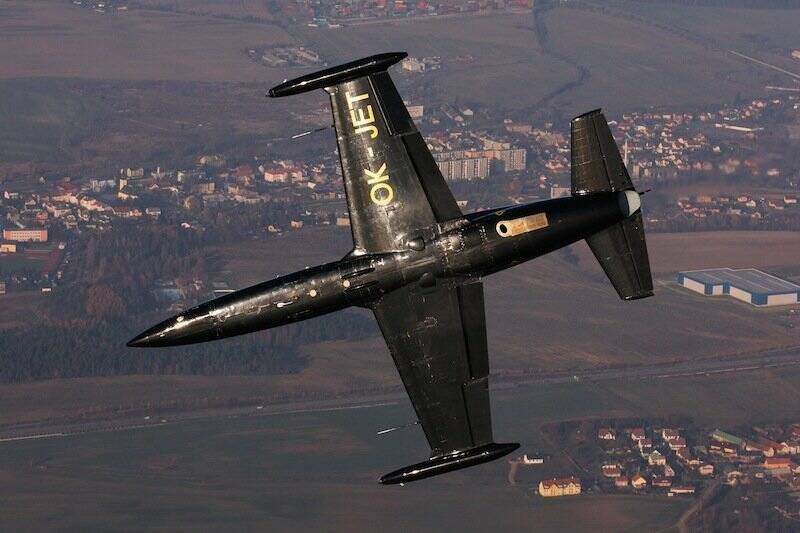 Our L-39 OK-JET is the only Albatros in the middle Europe, that can be flown by a civilian person! We are very proud to have our customers flown by the test pilots of this aircraft manufacturer in their own aircraft. These Aero test pilots are amongst the best and know their aircraft like nobody else in the world. And even after thousands of hours, they still enjoy every flight in their jets - you will feel it! The L-39 impresses with good maneuverability and excellent visibility from both seats in the cockpit, you will see! Very good performance at sub sonic speeds make the L-39 jet the ideal aircraft to experience a cost effective flight in a real fighter aircraft. Visit our ESHOP and schedule your flight! Do you feel like fighter jet aerobatic experience may be little bit too much for you? Than better try a standard SIGHTSEEING FLIGHT or NIGHT FLIGHT first and decide if you want to try it upside down thereafter.